Pemba Capital Partners (formerly RMB Capital Partners), a leading Australian private equity firm has made a significant investment in the Vital Software group of companies. Pemba Capital Partners specialises in buy and build partnerships with the owners and managers of private businesses. Buy and build encompasses an acceleration of growth through both organic and acquisition led initiatives. Vital Software offers software as a service (SaaS) that helps both automotive manufactures and dealership groups with data integration, sales lead management, analytics and reporting. Vital Software’s platform is web-based, mobile compatible, highly scalable and can be tailored to the specific hosting and security environments of its end-users. Founded over 15 years ago, Vital Software has grown substantially due to its reputation as an automotive industry specialist that is a clear functionality leader in its sector. Vital Software has a presence in both Australia and the United Kingdom. 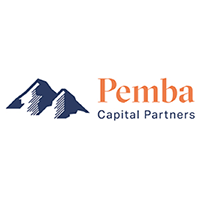 Pemba Capital Partners was established in 1998 and is a leading investor in small and mid-sized private businesses in Australia and New Zealand. Since inception the investment firm has specialised in partnering with the owners and managers of private businesses to help them accelerate growth. Pemba Capital Partners is independently owned by its Managing Directors and to date has completed over 100 transactions. Pemba Capital Partners is able to be flexible on investment timeframes and can adopt a wide range of structures, including minority ownership stakes. Pemba Capital Partners take a conservative attitude towards debt and generally avoid highly geared businesses. Prior to working with Pemba Capital Partners, we encourage new partners to meet as many current or former investee owners as possible to hear what they have to say about us. We often find that these references are a crucial part of the decision process for owners or managers who decide to work with us.